I recently read about spinach and artichoke hummus on another blog and wanted to try it instantly. When I buy hummus I like to get it at Costco in big containers. The price is better and it last me much longer than the small ones you find at regular grocery stores. I was impatient and wanted it now, so instead of searching at my local Costco I went ahead and made a batch. What a good idea I had! This hummus combines the delicious flavors of a spinach and artichoke dip, but instead of the creaminess coming from cheese it comes from the hummus’s beans and tahini. I am in love with this hummus, it is so good. In a food processor add the beans, garlic, lemon juice and tahini. Purée until almost to a smooth consistency, but still a bit chunky, scrapping down the sides every so often. Add the olive oil slowly while the food processor is still running. Lastly add the artichoke, spinach, sea salt and pepper. Whirl until the artichokes are broken down and combined with the hummus to the consistency you like. Oh this sounds delicious! I love making homemade hummus, although I don’t do it enough. I usually just use it as a dip or sandwich spread, but apparently I need to start being more creative; I didn’t realize how versatile it is! this sounds amazing, and definitely a healthier version i could get my hubby to eat! thanks for the great recipe! LOVE this flavor idea!! I always find myself opting for garlic lover’s hummus…but i really think it’s time i made my own, and spinach artichoke couldn’t sound better! MUST MAKE! Thanks for this recipe, Heather! 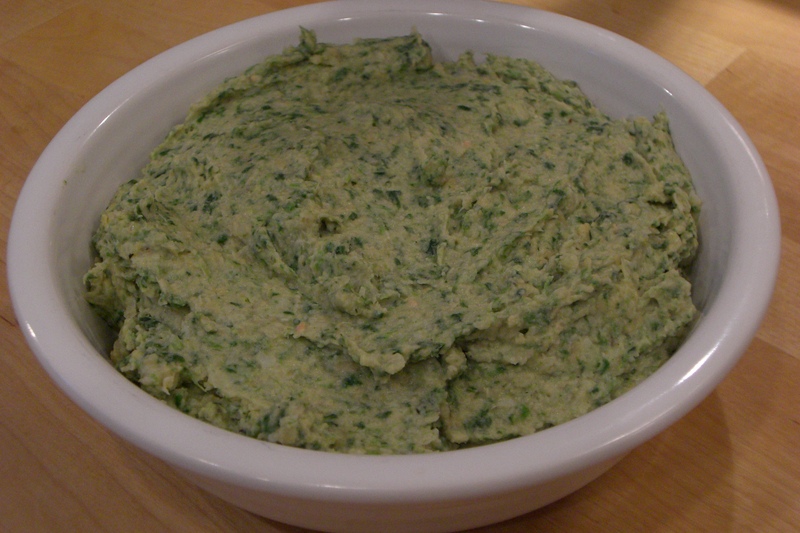 I had Sabra spinach artichoke hummus a couple weeks ago and didnt care for it at all. Yours looks really really good though. It looks more spinach-artichoke-y. Oooo hummus how I love you! This looks delicious and full of so many wonderful ingredients! I have never thought of mixing hummus with nutritional yeast, I am a huge NY fan right now and eat it on and in everything! I just love hummus! The addition of artichoke and spinach sounds amazing. There is a red pepper hummus I often buy at the store. I should attempt making it! I’m always on and off with hummus… But this looks like a good swap for regular spinach artichoke dip… which I adore! DELICIOUSNESS! I often make Broccoli huts artichoke hummus and am in love with it!